This week’s focal point: This week my family and I are celebrating my mother’s birthday by spending the week at the beach. As a father, I have the great joy of watching my son and his cousins explore the wonders of the ocean and the gigantic sandbox right before it. This afternoon we introduced the kids to boogie boards for the first time. Unlike his older cousin who watched the adults explain and demonstrate how to properly use a boogie board, my son was not the least bit interested in learning its proper use. Instead he wanted to use the boogie board like it was a boat, or a truck, or a hybrid boat-truck… I think you get the idea. After a few attempts to convince him to try it the “right” way, I happily obliged his desire to “do it myself.” He proceeded to use and reuse the board for several different purposes, none of which resembled anything close to the purpose for which the board was originally intended. As I watched him it dawned on me that this is the same way in which real innovation comes about. 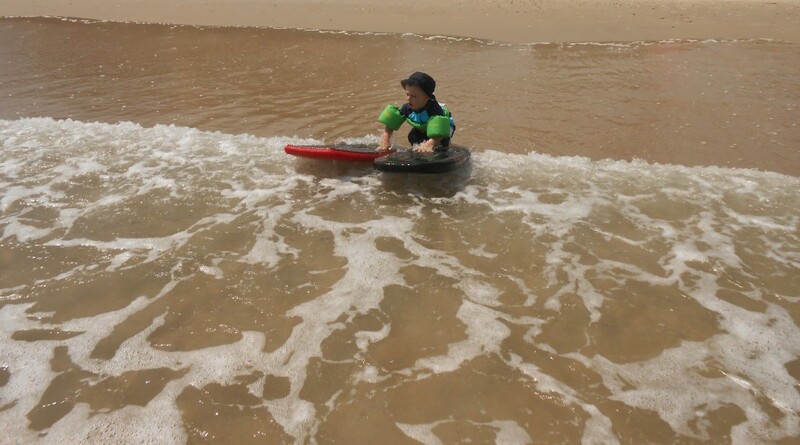 My toddler’s disinterest in what a boogie board was made for and how it was intended to be used allowed him to see it as a tool to help him meet his ultimate objective: having lots of fun. I discovered that despite the fact that he and I saw the boogie board in completely different contexts, our mutually desired outcome was the same. To create innovative solutions for the obstacles we face today, we must allow and encourage those in our communities, organizations, and businesses to reimagine and repurpose the resources we have at our disposal. Too often, we restrict these tools to our narrow definitions of how they should be used, instead of allowing others the freedom to experiment and create their own visions. The Fulcrum: By allowing others the opportunity to take an active role in creating the future, we are far more likely to achieve our mutually desired outcome.